Welcome Aboard IHC185™ Internet Horology Club 185 IHC185™ Discussion Site Main Page Open to the World RESEARCH FORUMS South-Bend Watch Company Research Forum South Bend 0s in wrist watch case-any guesses? 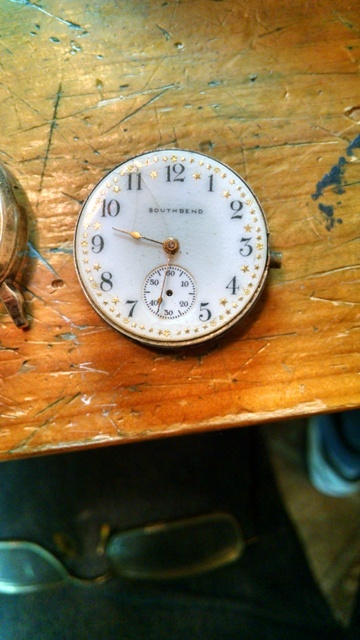 I just purchased this South Bend 0 size in a wrist watch case on ebay for less than fifty dollars. The auction ended in the middle of the night, and I did not wait up to place my bid. As you can see the photos were not of good quality, but I decided to take a chance on it since I have a fifteen jewel South Bend movement that needs a case, and I've been looking for a wrist case for a little while now. Hopefully it's not too beat up to make a neat project (I also realize it's missing the stem/crown). It isn't due to arrive until Monday, so I thought it would be fun to see if anyone wants to speculate (or guess) what movement might be inside? 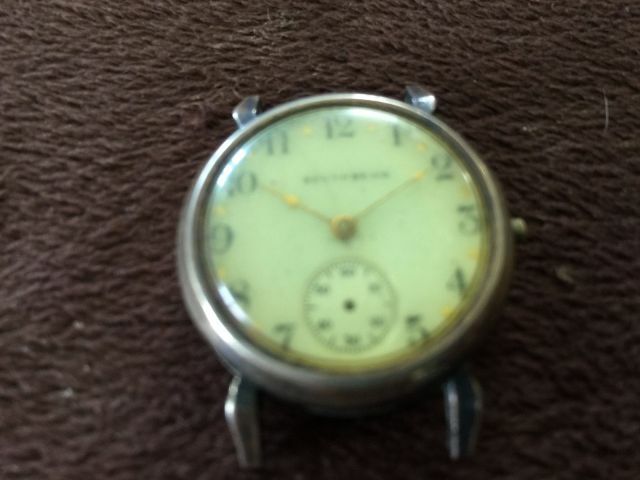 I will be happy even if its a broken seven jewel movement as long as the case is functional, but since it could be anything, I am imagining a grade 150. I will take better pictures and announce the results after it arrives. Anyone? so, that was you overbidding me? I have a few wrist cases usually filled with 0s grade 110 or unmarked 15 to 17 jewels. If this would be grade 150 I will be jealous and you very lucky. Sorry to keep you in suspense. 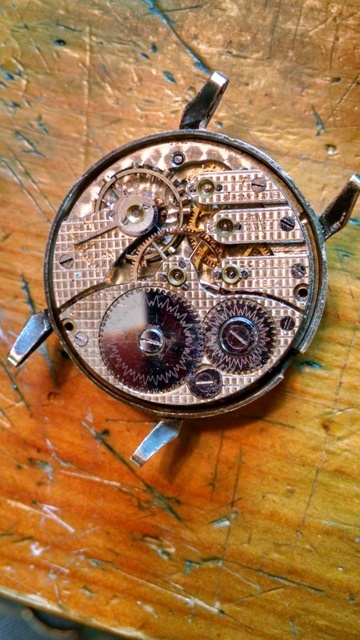 It was an unmarked grade 120 17 jewel movement, which is nice, since the case turns out to be not quite what I'm looking for after all. not that bad , usually there is a problem with damasking on winding wheels and those looks ok.
What does the dial look like? 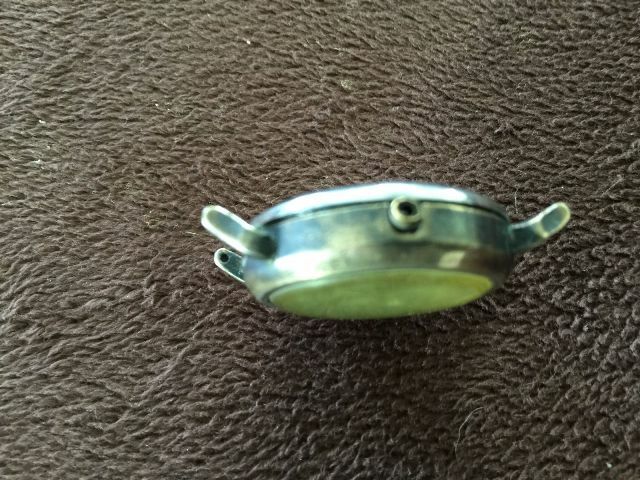 Quick Reply to: South Bend 0s in wrist watch case-any guesses?